The closest supermassive black hole to us is thought to be at the heart of the Milky Way galaxy. The European Southern Observatory revealed this week that a big announcement is days away. The international team of astronomers and engineers behind the Event Horizon Telescope (EHT) project is seeding news publications days ahead of what ScienceAlert reports could be the first-ever photo of a black hole’s event horizon. 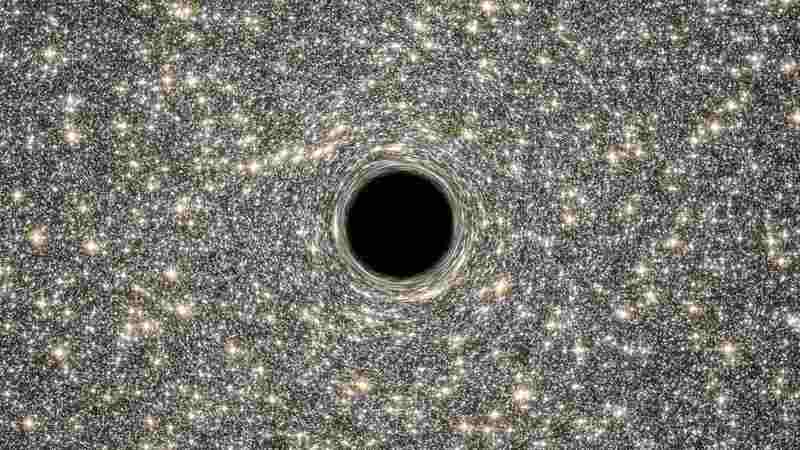 Black holes are points in space that have a gravitational pull so strong, not even light can escape from it. Legendary physicist Albert Einstein spent the better half of his life trying to prove his own prediction that black holes exist. Since then, 103 years have passed, and we're still as lost for concrete evidence for black holes today as Einstein was. Enter, the Event Horizon Telescope (EHT), which promises to change that. The EHT is a network of many ground-based radio observatories or radio telescope facilities around the world coordinated to produce a single, high-sensitivity, high-resolution telescope. Astronomers have been using it since 2006 to peer into Sagittarius A — a monster black hole at the centre of our galaxy. The goal with Sagittarius A is to look past the space debris around it to catch a glimpse of its event horizon — the point at the "edge" of a black hole at which matter and light (and spaceships, in the case of sci-fi films) can no longer escape the pull of a black hole. Sagittarius A, the closest supermassive black hole to Earth, is thought to be located at the heart of our Milky Way galaxy. While we share a home galaxy with it, the (fortunate) distance separating us from Sagittarius A is a huge stretch for modern telescopes to overcome. Other, smaller black holes that are much closer have also been proposed by astronomers, but still remain problematic to spot with available technology. Perhaps the EHT project is days away from telling us otherwise — that they've cracked it. A black hole snapshot could have far-reaching implications for our understanding of the universe. And maybe inspire better black holes in modern science fiction.